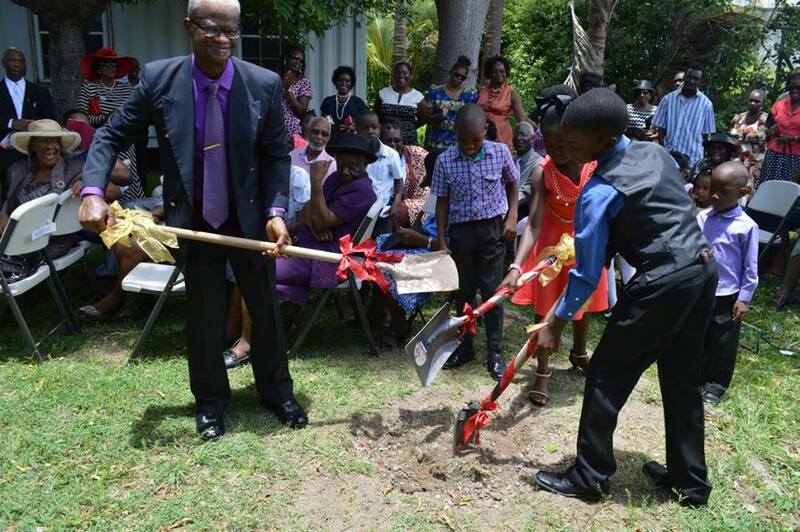 Retired pastor Bishop Abraham Riley breaks ground with two of the church’s youngest members Kimani Phill and Rashid Watts. 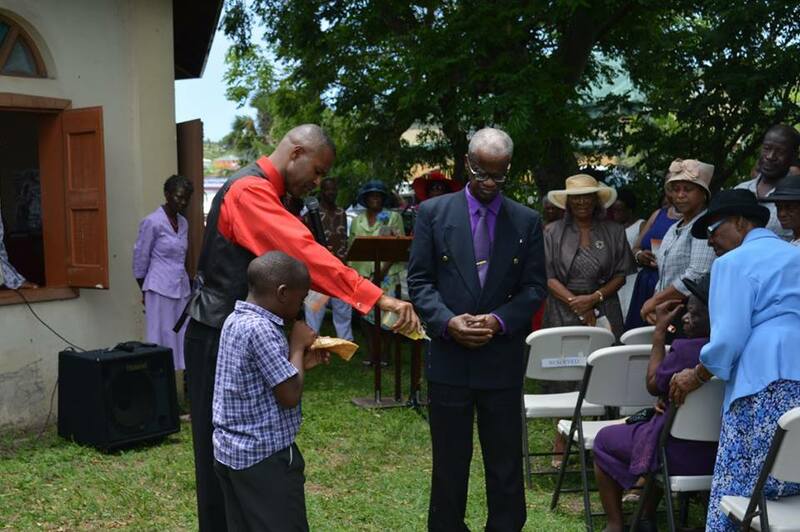 Members and well wishers celebrated with the Faith Tabernacle Church in Brades on Sunday, June 6 as they broke ground on their expansion project. According to Pastor Toney Allen the current facility is no longer adequate for the church’s needs. Its strategic location in the island also means it is often used for community meetings and so more space is needed. The plan is to increase the usable space from 1966 sqft to 3932 sqft. 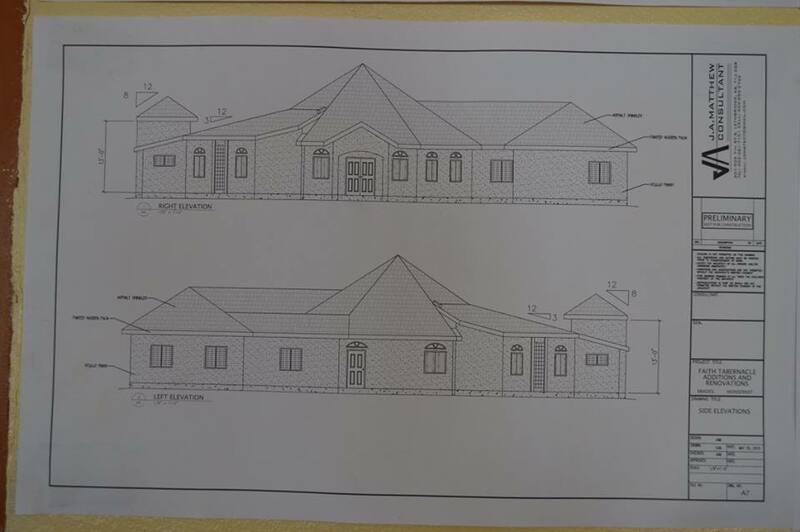 This will provide the church with more sanctuary space, offices, a band room, and multi-purpose room which will be available for rental by other community groups. Hon. Minister of Ecclesiastical Affair Delmaude Ryan speaks at the groundbreaking ceremony. In attendance was Acting Premier and Minister of Ecclesiastical Affairs Delmaude Ryan. She commended the organisation on taking up the project. She noted that the ills of the community can only be solved with spiritual solutions and challenged the church to continue being a place where member are prepared to serve the nation. Elder and church historian Annesta Moore shared the story of how the church came to be at the current location. She said although the congregation was small with only 30 members, they took up the challenge to build the church over a three year period. The church is currently inviting pledges to raise the 500,000 EC needed to complete the project. Donations can be made directly to Brades Pentecostal Church bank account #1000942 at the Royal Bank of Canada. Church elder Sis Annesta Moore shares the history of the church. Pastor Toney Allen anoints the earth. One view of the planned church expansion.